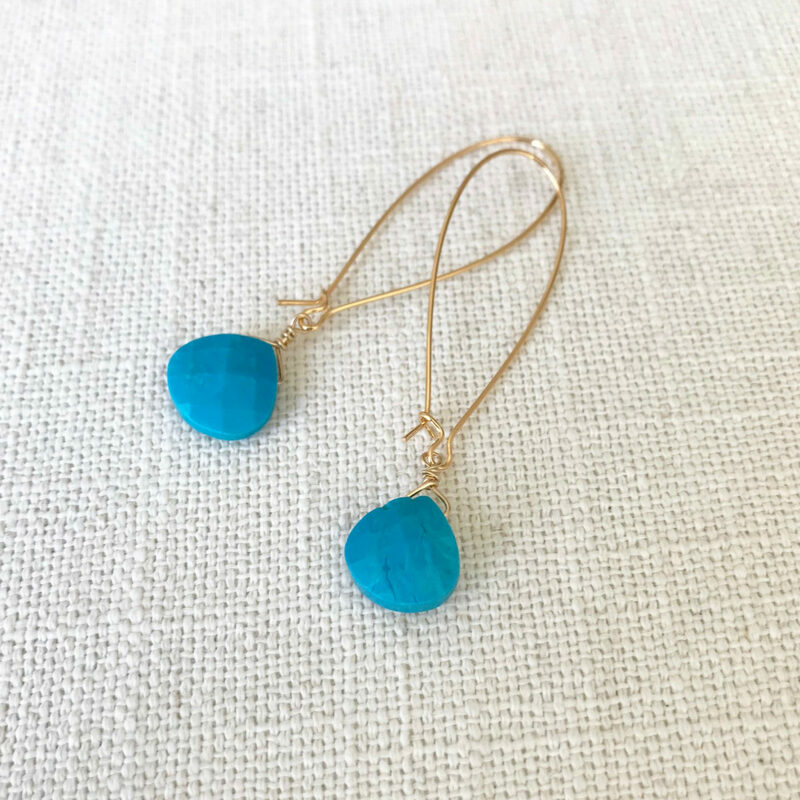 Available in gold or silver plated, these simple and sleek faceted reconstituted turquoise teardrops dangle from kidney hoop ear wires. 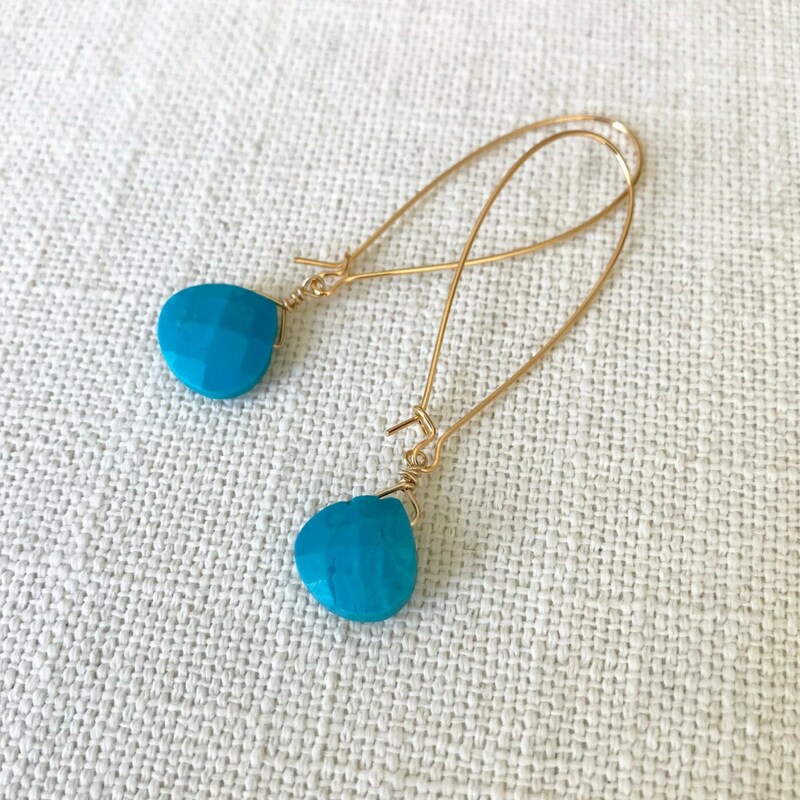 I love the combination of gold & turquoise and they're equally as fabulous in silver. 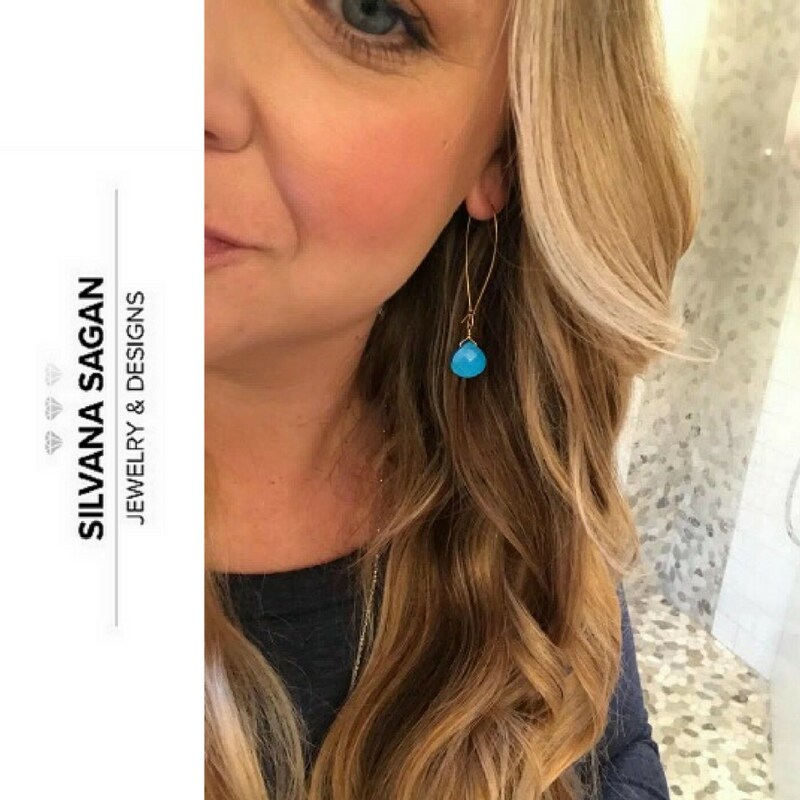 Wonderful everyday earrings dressed up or down, day to evening! The earrings measure approx 2.5" from end to end. 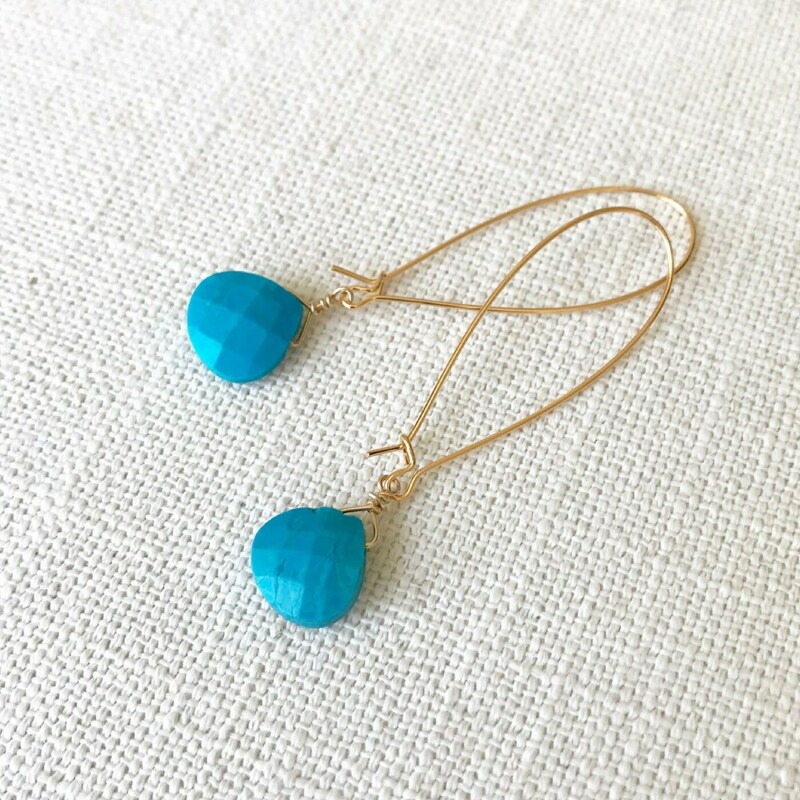 The reconstituted turquoise drops are approx 14mm. These were a birthday gift from me that my adult daughter chose. She’s pleased! Transaction was smooth and quick!